I paid for a trip but can't find my booking in my WeTravel account. What to do when you know that you have signed up for a trip but it doesn't appear in your account? If your trip is there, great. Just click on "Manage Booking". No Booking in "My Trips"
If you can't find your booking in My Trips, then you have most likely signed in to WeTravel with multiple emails. You might have accidentally created multiple accounts with WeTravel. What email address did I use to sign up for the trip? To find the correct email address used for your booking, go to your email inbox and find the email with the subject line "Booking Confirmation -". Then, check which email address it was sent to. 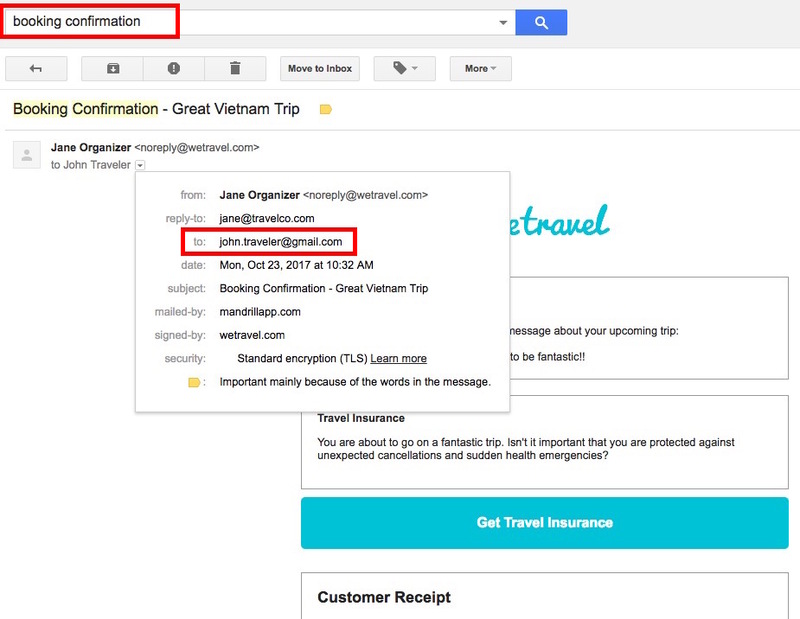 Now, go back to WeTravel, log out, and sign in again with that exact email address. If you have never received a confirmation email or you still encounter an issue, please feel free to contact us.